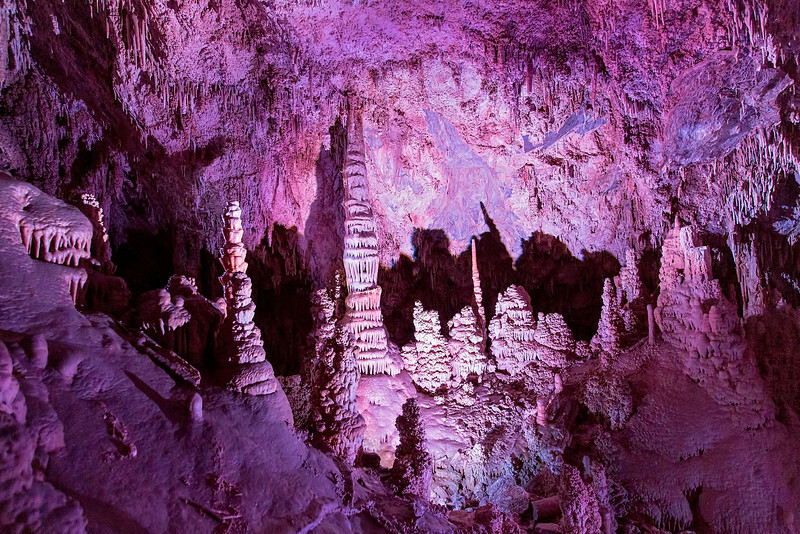 Lewis & Clark Caverns. I don't remember what this configuration was called, so I made up my own name. They lit up this section with colorful lights, which made them interesting. Photographing the caves was very challenging. They don't allow tripods or flash, and their lights washed out areas and left the rest in darkness.